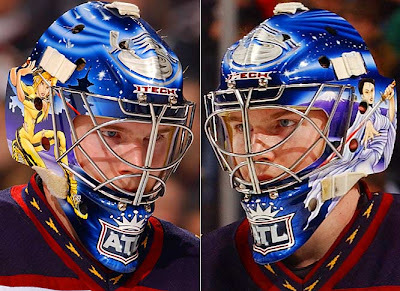 Is Atlanta Thrashers Goalie Kari Lehtonen a Big Nerd? 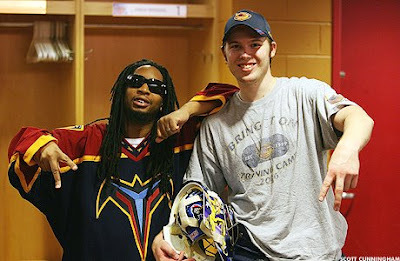 I love it when my worlds collide. 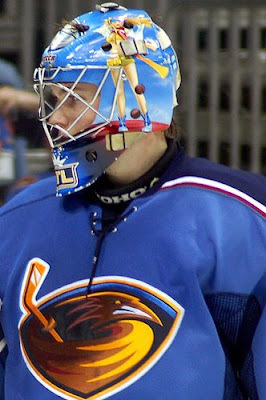 Here we have Atlanta Thrashers goaltender/Finn/nerd sporting his latest mask. It has the Dark Knight Joker on it. And sure, you don't have to be a nerd to like Kill Bill either, but the two things together are starting to paint a pretty nerdy picture. 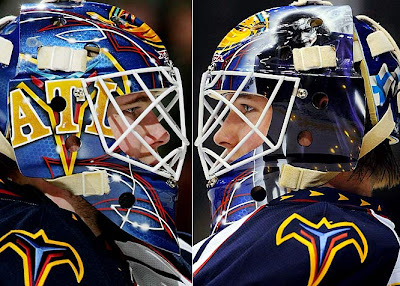 Yes, that is a Final Fantasy themed goalie mask. Still not convinced? 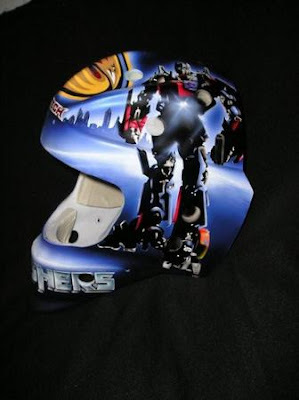 How about this Optimus Prime (movie version) mask he had made but never wore in a game? Is he a geek, or is he just lazy about his pop culture references? You decide. I choose to award him the first Living Between Wednesdays Award for Public Geekery by an Outsider. 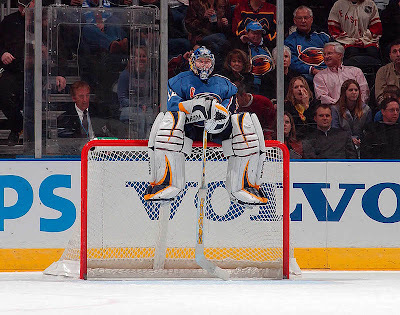 Keep letting that geek flag fly, Lehts!